A home handyman understands that you can’t do all the work yourself. Lack of time and resources are only a few reasons why hiring an experienced tradie is a necessity. A well-maintained house is both an asset and a pride. If you want your house to be in tip-top condition all throughout the spring and summer, it’s wise to consider some essential factors. Having your wood trims checked after the winter breeze can prevent rot and further damage. Wood trims around your doors, windows, decks, fences and other outdoor structures deserve to be inspected at least twice a year to check signs of moisture damage, discolouration or mould build-up. If you notice that timber boards become soft or saggy, it’s best to replace the old wood to avoid affecting other wood panels. Loose or missing nails should also be addressed right away to prevent accidents. Cleaning them is also recommended to ensure they’re safe from early deterioration. When it comes to large structures, power washing is done to help remove the dirt quickly and effectively. If complex procedures are involved, a home handyman can offer a hand. Just like other structures, fences require a detail clean, especially after winter. Checking its condition can help you prepare the structure for temperature change. Stains and grime won’t only affect its durability but also mar its entire appearance. Scrubbing the surface with soapy water can work. Using a pressure cleaner can also make the process easier and more doable. Doing a thorough fence inspection is one way to locate hidden cracks or holes. Paying attention to common issues such as dirt marks, mould formation and peeling paints can further extend the structure’s life. Leaving it without cleaning will leave a negative impact on its durability. It’s also best to stain and seal the surface for better results. A home handyman knows basic methods and strategies to address the issue and provide better recommendations to homeowners. Stains, discolouration or bumps can weaken the tiles and cut back their lifespan. More so with a discoloured or chipped bathroom grout, water can easily permeate through the subsurface, making the tiles susceptible to damage. Regrouting is the ideal way to restore their original look and give them a clean finish. It’s one of the best solutions when looking to increase its overall appeal. Not only does it improve the aesthetics but it can also be less expensive than replacing your old tiles. You can easily buy the necessary materials from the nearest hardware store or get assistance from a home handyman to do the job for you. While it’s good to attend to your structural needs, it’s also wise to include your garden in your home maintenance list. Keeping your garden from all kinds of rubbish helps to guarantee its healthy condition. Giving the right fertiliser and hindering weed growth can also make your plants and shrubs grow attractive. Tending to the garden may be usually done by a gardener but you can also trust a home handyman to perform the task and help it thrive in the varying Australian climate. This is especially applicable to homeowners who lack the time to complete the work. Gutter cleaning is one of the common jobs that’s often overlooked. For homeowners living in areas with trees nearby, it’s essential to have it regularly checked to keep water and debris from damaging the structure. In doing so, you can check possible holes or cracks and avoid expensive repairs. Whether you reside in rain-prone or tropical areas, cleaning the gutters shouldn’t be drained down the list. Entrusting the job to a professional is vital to avoid accidents. Your appliances also need regular upkeep as they can lead to electrical failures if left unchecked. Having your oven, washing machine, refrigerator and other domestic appliances serviced and cleaned can reduce your stress and help in your routine. Replacing old batteries in your smoke alarm detector is also important to keep it working in the coming months. 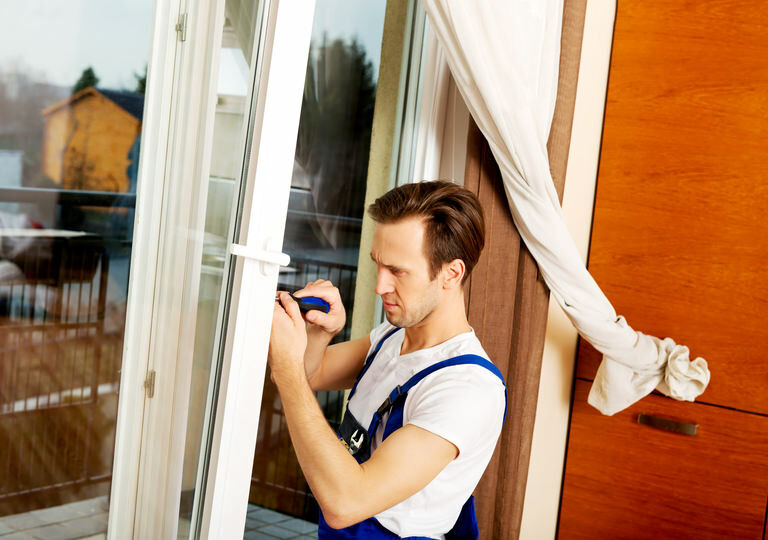 By regularly inspecting them you can easily identify if minor repairs or replacements are needed. Looking for a home handyman who’s readily available anytime of the day? HIREtrades can help you find the right tradie for any common or odd jobs that you need to complete. How much does handyman services cost?